Leverage your self-directed IRA toward this versatile investment option. More and more people are starting to purchase real estate with IRA accounts. These individuals have enjoyed both income and capital appreciation while diversifying their retirement portfolios and increasing control over their investments. You can invest in all types of real estate, residential or commercial, from raw land to single-family or multi-family homes, from building lots to vacation property, and even contracts for sale and lease options. 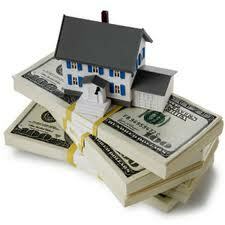 You can use cash to buy real estate, or you can employ a combination of cash and debt financing. If a project is too large for you to complete on your own, we can help you to pool your IRA investing money with other people’s IRA money and other people’s non-IRA money. Be sure to check with STC’s client services department when you contemplate entering into a complex transaction. What is a short sale and what is required to execute one? A short sale is a sale of real estate in which the lender agrees to accept less than what is owed to release their lien against the property. It may come in the form of a first lien on a home mortgage, a lien for a second mortgage or a Home Equity Line of Credit (HELOC). The 5 most common mistakes with regards to short sales include (1) avoidance of short sales altogether (2) not knowing when to walk away (3) not understanding how to prepare a submission package (4) inaccuracy in pricing the property (5) not knowing the state’s foreclosure law. There are certain criteria that must be in place in order to execute a short sale and purchase real estate with IRA funds. The lender must believe that they will receive more from the short sale than at an auction. The lender cannot commit for a beneficiary or the note insurer without their prior approval. Also, the owner cannot afford to make the payments and has no other assets to satisfy the debt. With regards to the property, the property value must be less than the loan value. Are you looking to purchase real estate with IRA funds?Call an STC Representative today! For more information please refer to our Webinar about short sales. Click here todownload the PDF. Click here to watch the webinar video.